Consider the field of regenerative medicine, a field which has the primary aim of harnessing the regenerative and healing processes already present in your body to help heal injuries, ward of disease, and slow down the aging process. The typical process for a regenerative medicine treatment is to isolate stem cells from a healthy part of the body, expand those cells in vitro, and deliver them to the site of the injury. A seminal problem is that, currently, most stem cell types cannot be differentiated into the necessary cell type needed to help the patient. 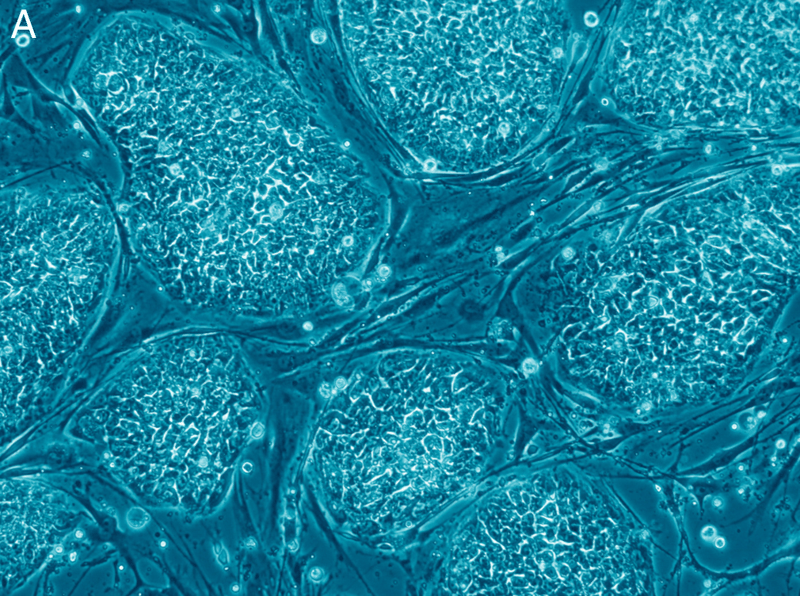 In fact, there is only one cell type that can: embryonic stem cells (ESC). The use of ESC receives a great deal of attention in the media for the ethical problems they present, because there are found in embryos. Their acquisition and isolation requires the destruction of an embryo, which makes any techniques involving them or results obtained using them the subject of intense ethical scrutiny. Another problem is the issues involved in the transplantation of those cells to the recipient because they are found in embryos, which does not make them very useful for autologous treatments. The reason they are considered the gold standard and continue to be used in state of the art institutions around the world is simple: they can be differentiated into absolutely any cell type the researcher or clinician desires. ESC can differentiate into all three germ layers: endodermal, mesodermal/mesenchymal, and ectodermal. This can be done in vitro by the formation of embryoid bodies or in vivo with teratoma formation. But how safe is it to transplant cells that can form a teratoma? Finding a reliable source of cells with wide differentiation capacity in adult organisms would provide a promising tool for regenerative medicine, specifically in facilitating autologous treatment. Mesenchymal stem cells (MSCs) are classified as multipotent stem cells, displaying a narrower capacity of differentiation than ESCs. However, the isolation of this cell type is far easier than that of ESC and does not require the destruction of an embryo. In fact, these cells can be isolated from mature adult mammals without any negative side effects and used to treat diseases in those same individuals. The question is whether mesenchymal stem cells can differentiate into non-mesenchymal lineages. MSC can be found in almost every tissue of the body at different levels of concentration. They are used for various processes including wound repair and bone growth. We studied MSC isolated from ovarian tissue, which experiences significant wounding on a regular basis due to the estrus or menstrual cycle. We chose the dog as our experimental model due to its importance as a veterinary patient and its translatability to human medicine and cell kinetics. Additionally, female dogs routinely undergo spaying surgeries that leave the ovaries as biological waste. If the MSC in the ovary proves to be as flexibly differentiable and robust as the current highest standard in MSC: adipose-derived MSC, then these ovaries would represent an important stem cell bank for autologous treatments later in life. The same can be said for human patients undergoing ovarian degeneration or sterilizing radiation and chemotherapy treatments for cancer. In order to prove that ovarian MSC matches the standard of adipose-derived MSC, my group performed a series of experiments to determine their differentiability into various cell types. We isolated stem cells from the ovarian tissue using a novel technique, selecting only those cells that adhered to the culture plate after three hours of culture. We then went on to differentiate the isolated cells into chondrogenic, adipogenic, neurogenic, osteogenic, and primordial germ lineages successfully. The differentiation into primordial germ cells represents an important tool for humans or animals undergoing chemical sterilization by chemotherapy or in cases of ovarian degeneration. From the veterinary perspective, this study opens a new field for regenerative medicine for castrated dogs, making a stem cell bank possible. MSCs are already preferred to ESC whenever possible due to the facility of autologous treatments with MSC. If the one superior characteristic of ESC, their pluripotency, is proved to be shared by MSC, the ethical issues and transplantational difficulties of ESC can be left in the past, paving the way for the exploration and development of MSC-based autologous regenerative therapies for every cell type in the body. This article is a compilation of work performed by Amanda Baracho Trindade Hill and her team at the University of Montreal and the State University of São Paulo. The study, Mesenchymal-like stem cells in canine ovary show high differentiation potential was recently published in the journal Cell Proliferation. Amanda Baracho Trindade Hill, MSc, is a veterinarian with five years of research experience in stem cell biology and embryology. She is currently enrolled in a joint degree PhD with the University of Montreal, Canada, and Sao Paulo State University, Brazil, and completed her Master’s in animal reproduction at Sao Paulo State University. She has published work in cell proliferation and tissue and cells, and is the author of a book. Her research expertise includes stem cell biology, molecular biology, developmental biology and reproduction.